An Act to promote the observance of a uniform system of time throughout the United States. The Uniform Time Act of 1966, Pub.L. 89–387, 80 Stat. 107, enacted April 13, 1966, was a United States federal law to "promote the adoption and observance of uniform time within the standard time zones" prescribed by the Standard Time Act of 1918. Its intended effect was to simplify the official pattern of where and when daylight saving time (DST) is applied within the U.S. Prior to this law, each state worked out its own scheme for the dates of beginning and ending DST, and in some cases, which parts of the state should use it. 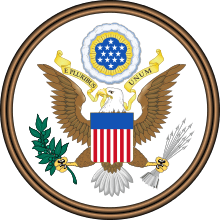 The law as originally written required states that observe DST to begin it at 02:00 local time on the last Sunday in April and to end it at 02:00 local time on the last Sunday in October and explicitly preempted all state laws related to daylight saving time per the weights and measures power given to Congress in Article 1, Section 8 of the U.S. Constitution. The law was later amended in 1986 to move the uniform start date for DST to the first Sunday in April (effective 1987). The latest amendment, part of the Energy Policy Act of 2005, extends DST by four or five weeks by moving the uniform start date for DST to the second Sunday in March and the end date to the first Sunday in November (effective 2007). The Department of Energy was required to report to Congress the impact of the DST extension by December 1, 2007 (nine months after the statute took effect). The report, released in October 2008, reported a nationwide electricity savings of 0.03% for the year of 2007.
if the state is divided by a time zone boundary, that the exemption apply statewide or to the entire part of the state on one side of the boundary. While there are a few areas where de facto differences within states exist, the overall pattern is simple enough, and close enough to actual practice, that it is effective and efficient to learn the basic pattern (for repeat travelers and repeat users of long-distance telephone service) and to mention the fact to those likely to be affected by it (for those living or working in areas where de facto exceptions apply). The most noteworthy exceptions are the states of Arizona and Hawaii, the commonwealths of the Northern Mariana Islands and Puerto Rico, and the territories of American Samoa, Guam, and U.S. Virgin Islands, none of which observe Daylight Saving Time. 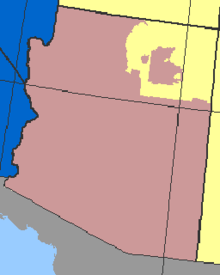 The various Native American nations within Arizona have the right to use or not use DST. The Navajo Nation has chosen to use DST throughout its territory, which includes parts of New Mexico and Utah. In contrast, the Hopi Nation, whose territory is surrounded entirely by the Arizona portion of the Navajo Nation, has chosen not to use DST. ↑ Jennifer Vernon (March 31, 2006). "The HIstory of Daylight Saving Time". National Geographic. Retrieved 23 June 2012.